Welcome to Day 15 of the Persuasion and Prayers Read-Along - the last day of our three-week event! I've had an absolute blast experiencing Persuasion with you all - from discussing the book together to our Twitter movie watch-along - and celebrating the release of The Prayers of Jane Austen. To anyone and everyone who left a comment, participated in the giveaways, and/or simply expressed excitement for this event and the books we've read: Thank you. Your enthusiasm and friendship mean the world! If you'd like to look back through our discussions of Persuasion and The Prayers of Jane Austen, just click on the read-along tag or the button in the sidebar. (Some of the participants posted on their blogs, as well: My Favorite Pastime, Flowers of Quiet Happiness) You can also check out the fun we've had on other social media sites: #InspiredByAusten on Twitter and the Inspired by Austen Pinterest board. And one more thing: Terry Glaspey, editor of The Prayers of Jane Austen, has a new website! I'm sure he'd love it if you popped on over to check it out (and maybe order a signed copy of the book from him :)). Now, we still have one last discussion scheduled for this event. Today we're talking about the third part of Jane Austen's prayers from The Prayers of Jane Austen (the lovely book that inspired this whole read-along!). Discussion Format: One quote to ponder, one observation, and one question for each day's reading. This is such a lovely concluding prayer, with a theme of making the most of our time, our blessings, and our relationships. It addresses the paradox of needing to truly live each moment, but also needing to understand that our journeys require patience. It's the perspective of eternity, to realize that all we have is now, but this "now" is shaping us bit by bit for the endless "now" that awaits beyond time. Don't the sentiments expressed in this prayer fit well with the lessons of Persuasion? Time is short; don't let pride hold you back from the love you're meant to give. Hardships come and meaningful things take time, so we must follow Jesus's example of patience and endurance. 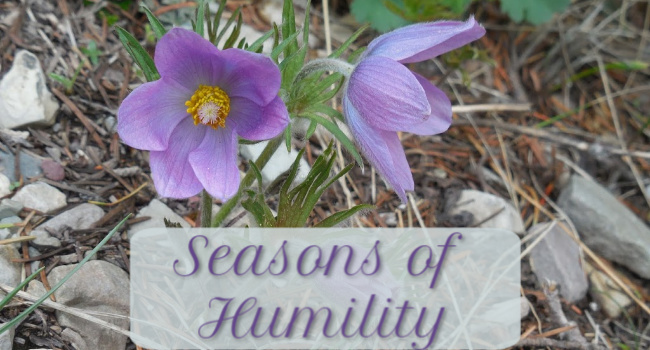 We all mess up, and the knowledge of this ought to make us humble before God and with each other. All in all, God works all things for our good (Romans 8:28), and we're deeply and truly blessed. We need God's mercy to save us from our self-centered and hard-hearted tendencies. "Everyone needs compassion," as the worship song "Mighty to Save" (Hillsong) sums up. We've all suffered in our own ways. We all need love. I really want to "feel the importance of every day, and every hour as it passes." I think I need to let myself feel that more, and then let that understanding better influence how I choose to use my time. It's a constant battle, but it's one worth fighting through prayer, with God's grace. Did this prayer speak to you and your current situation in life? If so, how? Today's the last day to enter for a chance to win a hardcover copy of The Prayers of Jane Austen, which includes an introduction and essay from Terry Glaspey on Austen's faith, in addition to the prayers and beautiful illustrations. Be sure to submit your entries using the Rafflecopter form below! I had such a great time with this read-along that I'd love to do another! This has provided fun motivation to finally read more of Jane Austen's work and to tackle a classic that I might not have gotten to otherwise. I hope you've enjoyed the experience, as well! In an ideal world, I picture doing a read-along of Northanger Abbey in October (perfect for the month of Halloween, am I right? ), Emma in February (Valentine's Day! ), and Pride and Prejudice next summer. But I hesitate to set any firm schedule just yet until we get closer to those dates. I think it might be good to have some recovery time in between the read-alongs, for sure. ;) Know that I'll be thinking about future possibilities, though, and I appreciate knowing what interests everyone! It makes me happy to think of doing more read-alongs and watch-alongs with my #BookBesties (← Rissi's awesome hashtag)! 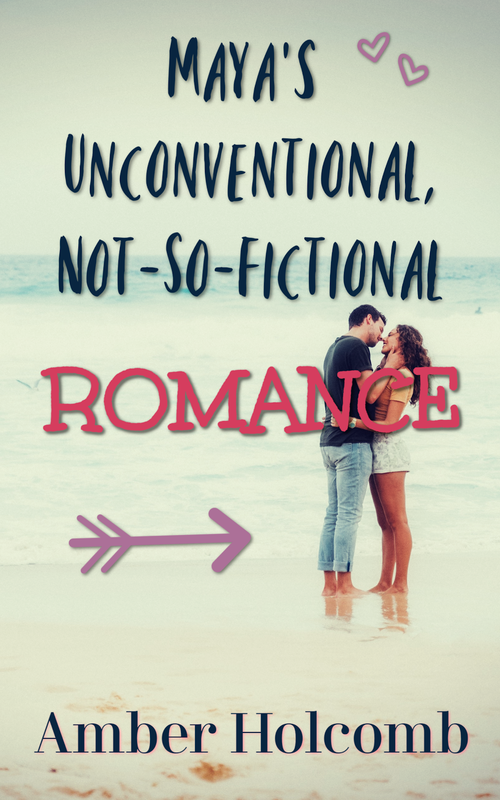 You can catch up on previous posts from this three-week discussion by checking out the read-along tag or by clicking the button in the sidebar. Today we're going to discuss chapters 23 and 24 of Persuasion. If you came prepared, go ahead and share your thoughts below! Otherwise, feel free to check in later today after you've had a chance to read today's chapters. Can't wait to hear your thoughts! "Such a letter was not to be soon recovered from." "If I could explain to you all this, and all that a man can bear and do, and glories to do, for the sake of these treasures of his existence!" "There could be only the most proper alacrity, a most obliging compliance for public view; and smiles reined in and spirits dancing in private rapture." "There they returned again into the past, more exquisitely happy, perhaps, in their reunion than when it had been first projected; more tender, more tried, more fixed in a knowledge of each other's character, truth, and attachment; more equal to act, more justified in acting." "There was nothing less for Lady Russell to do, than to admit that she had been pretty completely wrong, and to take up a new set of opinions and of hopes." After reading this final section, I wonder if perhaps this book should have been titled Pride and Persuasion, because Captain Wentworth was long held back by pride and Anne had been persuaded to turn him away. ;) But this ending does bring about such satisfying resolutions for all that heartache and separation! It's helpful to hear the reasons why Wentworth behaved the way he did throughout the book. And it's just lovely to know that his feelings for Anne remained, no matter how he tried to forget them or snuff them out. One thing I found especially gratifying was the forgiveness and healing permeating the last chapter (although sadly Anne's family remains self-centered as always). Two of Anne's dearest friends, Lady Russell and Mrs. Smith, become Wentworth's allies, as well. Wentworth chooses not to harbor ill will against Lady Russell, and he completely champions Mrs. Smith in her need, atoning for Mr. Elliot's unkindness toward her. How sweet is that? And while we're reminded that the life of a sailor is uncertain and the sacrifices can be great, we're left with the statement that Anne "gloried in being a sailor's wife." I think Anne might echo Mrs. Croft's words from chapter 8: "I can safely say, that the happiest part of my life has been spent on board a ship. While we were together, you know, there was nothing to be feared." We've finished the book! What are your final thoughts? Where does Persuasion rank among the Jane Austen stories you know and love? Don't forget to log your giveaway entries this week using the Rafflecopter form below for a chance to win a hardcover copy of The Prayers of Jane Austen! Which quote to ponder, observation, and question/response would you like to share? Welcome to Day 13 of the Persuasion and Prayers Read-Along! You can follow along on this three-week discussion of Persuasion and The Prayers of Jane Austen by checking out the read-along tag or by clicking the button in the sidebar. Today we're going to discuss chapters 21 and 22 of Persuasion. If you came prepared, go ahead and share your thoughts below! Otherwise, feel free to check in later today after you've had a chance to read today's chapters. Can't wait to hear your thoughts! "How she might have felt had there been no Captain Wentworth in the case, was not worth enquiry; for there was a Captain Wentworth; and be the conclusion of the present suspense good or bad, her affection would be his forever." After watching the 1995 movie adaptation (hugs to you all who joined in! ), it seems to me that the book's reality is even more unpleasant than the movie's. We're presented with all sorts of little details about Mr. Elliot's unkindness to Anne's family, to her dear friend Mrs. Smith (and the late Mr. Smith), and to his late wife. I appreciate Anne's willingness to give Mr. Elliot the benefit of the doubt and to distrust any gossip, but her dear friend has quite a bit to say against the man, making his general disposition and selfishness quite clear. Can't believe we'll be discussing the last two chapters tomorrow! If you were in Mrs. Smith's position, what would you have done? That is to say, if you knew some pretty awful things about the person your friend might be marrying, would you stay silent in hopes that things would work out all right, or would you tell your friend what you know, even if it could alter her future/relationship? P.S. Would it make a difference to your response if you were living in Austen's time instead of today? Join us tomorrow to discuss the last two chapters of the book: chapters 23 and 24! Welcome to Day 12 of the Persuasion and Prayers Read-Along! You can follow along on this three-week discussion of Persuasion and The Prayers of Jane Austen by checking out the read-along tag or by clicking the button in the sidebar. Today we're going to discuss chapters 19 and 20 of Persuasion. If you came prepared, go ahead and share your thoughts below! Otherwise, feel free to check in later today after you've had a chance to read today's chapters. Can't wait to hear your thoughts! "She is pretty I think; Anne Elliot; very pretty, when one comes to look at her. It is not the fashion to say so, but I confess I admire her more than her sister." Let's discuss Captain Wentworth's famous line (the "Quote to Ponder" above). Do you believe it's possible for someone to "recover" from deep feelings of true love? Or does that sense of "devotion" stay with the person forever, regardless of where else life might take them and whether or not the love is ever reciprocated? Join us tomorrow to discuss chapters 21 and 22! Welcome to Day 11 of the Persuasion and Prayers Read-Along! You can follow along on this three-week discussion of Persuasion and The Prayers of Jane Austen by checking out the read-along tag or by clicking the button in the sidebar. Today we're going to discuss chapters 17 and 18 of Persuasion. If you came prepared, go ahead and share your thoughts below! Otherwise, feel free to check in later today after you've had a chance to read today's chapters. Can't wait to hear your thoughts! "Here was that elasticity of mind, that disposition to be comforted, that power of turning readily from evil to good, and of finding employment which carried her out of herself, which was from nature alone. It was the choicest gift of Heaven" (emphasis added). "She [Anne] prized the frank, the open-hearted, the eager character beyond all others. Warmth and enthusiasm did captivate her still. She felt that she could so much more depend upon the sincerity of those who sometimes looked or said a careless or a hasty thing, than of those whose presence of mind never varied, whose tongue never slipped." At the beginning of chapter 18, it is said of the Crofts that "they were people whom her [Anne's] heart turned to very naturally." One point that seems so sweetly featured in these two chapters is that the company we choose to keep - and the company we're drawn to - can say quite a bit about our own character. While Anne's father and sister disdain her for choosing a poor widow's company over their wealthy and high-class connections, it's Anne's friends who have so much wisdom and admirable examples and kindness to impart to her. And Anne is the better for it! Even though Mr. Elliot's intentions are in question, I think he got it right when he considered Anne "a most extraordinary woman; in her temper, manners, mind, a model of female excellence." I loved the scenes in this chapter with Mrs. Smith and with Admiral Croft. Mrs. Smith's attitude is so inspiring! I was thinking today about singleness (bear with me; I'm going somewhere with this!). I suppose bridal showers will do that to a girl, even if she's happy for the bride-to-be and glad to be a part of the festivities. :) I decided that one of the hardest things about being single is the feeling of missing out on a rite of passage. And unlike natural rites of passage (like growing into womanhood) or ones you can earn (like getting your education), this particular rite is one you have no real control over. And sometimes it's just so darn hard to accept that and to not feel left out or unwanted! But here in this book is Mrs. Smith, someone almost entirely cast aside through circumstances beyond her control. Anne lists the poor woman's hardships: she lost the man she loved and also her respected position in society all at once; she lost her wealth; she has no children to care for her; she lives in a small and dismal residence; she needs help getting from one room to the other; she can hardly do anything for herself. And yet Anne observes that Mrs. Smith "had moments only of languor and depression" vs. "hours of occupation and enjoyment." It puzzles Anne, who determines to understand it. She comes to the conclusion that it is a part of Mrs. Smith's very character, "that power of turning readily from evil to good." I'd like to add, if I may, that perhaps that power isn't just something that you have or don't have, and that's the end of it. While I believe it might be harder for some personalities more than others to seek the positive, the power to do it lies with the God, through whom we "can do all things" (Philippians 4:13). Who is your favorite character in the story so far, and what is it that you love most about him or her? What can you learn from that character? Join us tomorrow to discuss chapters 19 and 20! Welcome to Day 10 of the Persuasion and Prayers Read-Along! You can follow along on this three-week discussion of Persuasion and The Prayers of Jane Austen by checking out the read-along tag or by clicking the button in the sidebar. 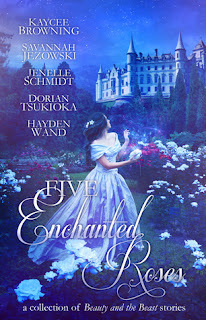 In addition to the read-along giveaways (you still have today to enter this week's giveaway - see the form at the bottom of the post! ), there's another giveaway of the book happening on Harvest House's Facebook page. More chances to win this lovely book for your nightstand or for a friend? Why, yes! You're Invited to a Twitter Watch-Along! Kara (@flowersquiet) and I have had an absolute blast in recent months with events we like to call "watch-alongs." :) Basically, we meet up on Twitter and begin watching a movie at the same time, proceeding to tweet our observations and favorite quotes and all the goodness of the characters and story. Fun, am I right?? It's the next best thing to actually getting all your blogging friends together in front of the TV in your living room! "We bless Thee for every comfort of our past and present existence...imploring their continuance from They Fatherly goodness, with a more grateful sense of them, than they have hitherto excited." I think this line sums up this poignant prayer well: "We are helpless and dependent; graciously preserve us." Austen's humility rings clear in her desire for mercy and the strength to do better...in her gratitude and her longing to be even more grateful in the future...in her requests for the preservation of herself and her loved ones. The attitude of this prayer is admirable, and I could certainly learn from its example of honesty and reverence! I believe I tend to take way too much for granted and don't appreciate my blessings as I ought. Austen's reminder to have a heart that's growing in its sense of gratitude is much-needed. And not only does this prayer serve as a reminder to speak words of gratitude and praise to God, but it also reminds me that I should live in a way that expresses my gratitude. Does my life reflect the excitement of a thankful heart? Do I show my gratitude to God in the way I spend my time and through the choices I make? Those last questions strike a nerve for me. The way I spend my free time and prioritize my activities and exercise generosity - those are all areas where I especially need God's mercy and strength to do better, to develop "a more grateful sense of [my blessings], than they have hithero excited." We'll resume our Persuasion read-along on Monday (discussing chapters 17 and 18)! Welcome to Day 9 of the Persuasion and Prayers Read-Along! You can follow along on this three-week discussion of Persuasion and The Prayers of Jane Austen by checking out the read-along tag or by clicking the button in the sidebar. Today we're going to discuss chapters 15 and 16 of Persuasion. If you came prepared, go ahead and share your thoughts below! Otherwise, feel free to check in later today after you've had a chance to read today's chapters. Can't wait to hear your thoughts! "You are mistaken," said he gently, "that is not good company; that is the best." These two chapters show some interesting developments on the Mr. Elliot front... The man is a mystery! As Anne points out, "She had the sensation of there being something more than immediately appeared." I almost kind of hoped Mr. Elliot was keen on visiting the family because he knew Anne would eventually come. (Silly me - they never even spoke when they first me, so how was he supposed to know who she was?) But since that wasn't his aim...now I'm definitely suspicious. And I'm proud of Anne for being on her guard while still appreciating his friendship and attention! I will certainly say this for Mr. Elliot: Regardless of his reasons for being there, I'm happy for Anne's sake that she has someone (besides Lady Russell, to a degree) to reach out to her and admire her while in Bath. Her family's selfishness is both sad and aggravating. But with all this talk of Mr. Elliot, this little line must not be overlooked: "[Mr. Elliot] gave her to understand that he had looked at her with some earnestness. She knew it well; and she remembered another person's look also" (emphasis added). If you were in Anne's place, how would you get along in Bath? Welcome to Day 8 of the Persuasion and Prayers Read-Along! You can follow along on this three-week discussion of Persuasion and The Prayers of Jane Austen by checking out the read-along tag or by clicking the button in the sidebar. Today we're going to discuss chapters 13 and 14 of Persuasion. If you came prepared, go ahead and share your thoughts below! Otherwise, feel free to check in later today after you've had a chance to read today's chapters. Can't wait to hear your thoughts! I will observe that there seems to be a bit of a theme in this section about personal tastes - from how one organizes their home, to what sort of person one admires, to what sorts of sounds one finds annoying or cheerful. There are differences of opinion, but that's just how people are. We're all unique! And the characters that appear in these chapters are quite different from one another, but differences in taste don't determine the value of someone's acquaintance. Admiral Croft and Charles Musgrove - different as they are in personality and preferences - both endeared themselves to me in this section. Mary did not, but that's because she was acting quite needy and being intolerably rude in how she expressed herself and spoke of others. Yeesh. As Anne notes about Admiral Croft, it's "his goodness of heart and simplicity of character" that make his company pleasant to Anne. Not sure if I'm making much sense, but there you go! Here we spend a little more time getting to know Lady Russell. What are your thoughts about her relationship with Anne? Do you think she still holds power to persuade Anne in her life choices? Join us tomorrow to discuss chapters 15 and 16! Welcome to Day 7 of the Persuasion and Prayers Read-Along! You can follow along on this three-week discussion of Persuasion and The Prayers of Jane Austen by checking out the read-along tag or by clicking the button in the sidebar. Today we're going to discuss chapters 11 and 12 of Persuasion. If you came prepared, go ahead and share your thoughts below! Otherwise, feel free to check in later today after you've had a chance to read today's chapters. Can't wait to hear your thoughts! "Anne could not but be amused at the idea of her coming to Lyme to preach patience and resignation to a young man whom she had never seen before; nor could she help fearing, on more serious reflection, that, like many other great moralists and preachers, she had been eloquent on a point in which her own conduct would ill bear examination." "She ventured to hope he did not always read only poetry, and to say, that she thought it was the misfortune of poetry to be seldom safely enjoyed by those who enjoyed it completely; and that the strong feelings which alone could estimate it truly were the very feelings which ought to taste it but sparingly." Some of you have brought this up before, but it's interesting to me that so much happens around Anne. As the heroine of the book, she instigates very little and is forced to react to quite a lot. In these chapters, she is caught up in Louisa's scheme to bring their group to Lyme; she is introduced to Captain Wentworth's friends and feels the need to befriend Captain Benwick (a kindred spirit, of a sort); she is brought along for their one last walk along the coast; she is called upon to give advice in caring for Louisa, whose eagerness and stubborn (dare I say immature?) spirit caused her to fall; she is asked to stay and care for Louisa (which she'd like to do), but then is sent away so Mary can take her place (so she must endure Wentworth's quiet "displeasure"). In short, poor Anne is pulled this way and that and barely has a chance to make up her own mind or set her own course! But perhaps Louisa's flighty choices have made Anne's quiet constancy shine all the brighter? Anne appears to value Wentworth's attention and his "care" of her very highly: from his noticing she needed rest (back in chapter 10), to his choosing her to stay behind with Louisa - and then asking for her opinion on whether or not his plan was a good one. Do you believe that Wentworth's intentions are noble? Do his actions and thoughts regarding Anne arise from genuine concern and admiration? Or is Anne seeing only what she wants to see? Join us tomorrow to discuss chapters 13 and 14! Welcome back! We're on Day 6 and beginning Week 2 of the Persuasion and Prayers Read-Along! You can follow along on this three-week discussion of Persuasion and The Prayers of Jane Austen by checking out the read-along tag or by clicking the button in the sidebar. Today we're going to discuss chapters 9 and 10 of Persuasion. If you came prepared, go ahead and share your thoughts below! Otherwise, feel free to check in later today after you've had a chance to read today's chapters. Can't wait to hear your thoughts! "This little circumstance seemed the completion of all that had gone before. She understood him. He could not forgive her, but he could not be unfeeling. Though condemning her for the past, and considering it with high and unjust resentment, though perfectly careless of her, and though becoming attached to another, still he could not see her suffer, without the desire of giving her relief" (emphasis added). "Autumn, that season of peculiar and inexhaustible influence on the mind of taste and tenderness, that season which had drawn from every poet, worthy of being read, some attempt at description, or some lines of feeling." There's a lot that could be noted about these two chapters - such as the way Anne feels like she couldn't possibly guess Captain Wentworth's tastes now (but really, she understands his nature and preferences deep down), or the way that Anne is forced to endure her sister's and brother-in-law's musings on whom Wentworth will choose (with Mary throwing in that bit about young women choosing what's best for the family), or the interesting way things are resolved between Henrietta and Charles. Wentworth is so very determined not to give Anne any chance whatsoever of reclaiming his affections - and thus not allowing her the opportunity to hurt him again, nor forcing himself to swallow his pride. But I love how clear it is to the reader how very aware Wentworth is of Anne's well-being and comfort. His mind may be telling his heart to ignore Anne, but his heart keeps acting on his need to see her cared for. Can I get a collective *swoon*? "The something might be guessed by its effects. 'Miss Elliot, I am sure you are tired,' cried Mrs. Croft." ...my immediate reaction was, "No!! How could you? I hate you!" Yes, I was rather mean to Wentworth. I thought for sure he was just trying to get rid of her - I guess because I hadn't picked up from the text that Anne really was tired. But when Anne admitted that he had seen her need, and I read that lovely paragraph about "his resolution to give her rest," all was forgiven. I have to ask, because I love autumn and I love the theme of "seasons," what connections do you see between the autumnal setting of chapter 10 and the current state of Anne and Wentworth's relationship? Join us tomorrow to discuss chapters 11 and 12! About the Book: "It was never much of an issue for Bess: living contentedly on her family's farm, despite the Depression which loomed around them. 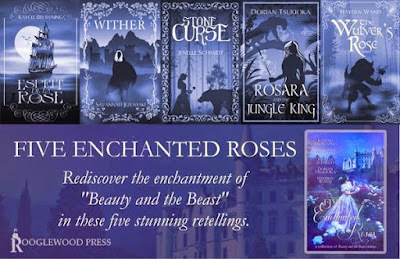 But when her older sister Georgiana takes off to New York City to make a fortune and help Papa out, feelings of adventure and wanderlust strike Bess at home. Through their lively letter correspondence, the sisters recount to one another their adventures, surprises, and heartaches, leaving little room for depression. For in a world of such wonder, ain't we got fun?" 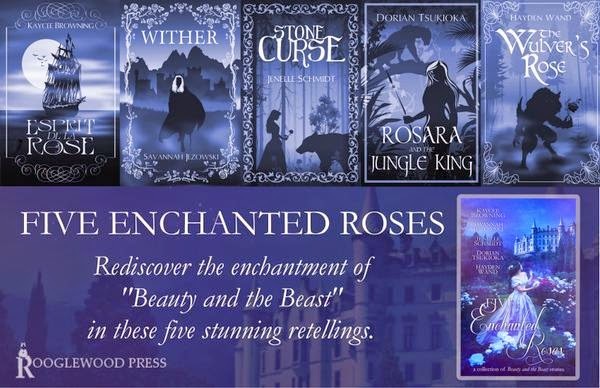 Meet Gi (Georgiana) and Bess Rowland, sisters with very different temperaments and dreams - but a very real bond that spans the miles that divide them. Through all the hardships and misadventures they face during the Great Depression in 1936, nothing can keep them down for long! Based on the cover, title, premise, and the authors themselves, I knew I was in for a sweet read - if, perhaps, a tad bit slow or dry, because how exciting can exchanged letters be? Well, let me tell you, these fictional letters are far from dull! Instead, they're brimming with adventure, twists, plenty of cute embarrassing moments, and young love. You can tell how much fun the authors had writing the book, and that makes for a very pleasant read, indeed. Now I feel inspired by the creativity of this epistolary novel! 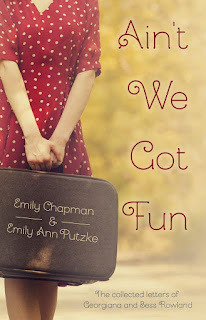 Don't miss the delight of Ain't We Got Fun. Anyway, here's a YouTube video featuring Renee Olstead singing "Ain't We Got Fun" (which is on the Kit Kittredge soundtrack). Love it! Welcome to Day 5 of the Persuasion and Prayers Read-Along! You can follow along on this three-week discussion of Persuasion and The Prayers of Jane Austen by checking out the read-along tag or by clicking the button in the sidebar. Many thanks to Caitlyn and Julie for their reviews! If you've reviewed the book (or will be reviewing it in the next couple of weeks), leave a comment and let me know. :) I can link to it in next week's prayer post. As an introduction to this discussion, I'd like to talk about the book for the moment. You might have heard of Jane Austen's prayers before - or possibly even read them elsewhere. But for a sweet little prayer book to have on your nightstand or to give to a friend, this hardcover suits the purpose perfectly. :) It includes images from the British Library's collections, as well as an introduction and essay from Terry Glaspey that discuss the nature of Austen's faith. I freely admit I work for the publisher that released this volume, so yes, I can hardly claim to be unbiased! But people who work for publishers can get excited about books, too, right? :) And I take particular delight in the style and care in which this book is presented. On a purely tangible level, it's a precious book to hold in your hands. But on a deeper level, beyond pretty covers and illustrations, the prayers themselves are even more precious. 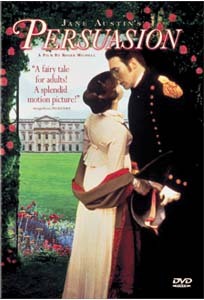 I've only scratched the surface of Austen's work by reading Northanger Abbey and now getting into Persuasion (and watching various Austen movie adaptations - that should count for something, right? ), but I can see that the keen insights and observations on human nature which have made her famous are also the key to what makes these prayers so moving. Terry mentions this in the book and in the blog post linked above, but it's worth repeating: Austen was heart-wrenchingly honest in her portrayals of humanity's flaws and desperate need for God's grace. I see her honesty in Persuasion: the way she describes Anne's fears and heartaches, Captain Wentworth's bitterness and frustration, and their true-to-life awkward meetings. And I see Austen's honesty in these prayers. Let's discuss the first one, shall we? This prayer covers so much, moving inward to outward: touching on our relationship with God, our need for mercy and honesty with ourselves, what we have to be grateful for; then moving on to praying for others and seeking awareness and appreciation of God's work. The parts that especially resonate with me right now are the ones regarding sin and repentance. Austen pushes the theme of sincerity: sincerity in how we view ourselves, in how we feel the weight of our sin, and in how we go about the task of doing better. Austen appeals for mercy, refers to salvation, and writes with tenderness in addressing God - so I don't think she's overlooking God's grace and the freedom He gives. I think perhaps her words offer a much-needed reminder of just how costly sin is. It can affect the way I spend my time, possibly hurt others, and pull me further away from God. And the thing is, sin isn't as clear-cut as a laundry list of bad behaviors. As Austen alludes to, sin is also wrong thoughts and habits and attitudes. Something that's harmless to someone else can become a harmful obsession for me that absorbs my spare time and finances and heart. It's all in where my heart is at, and I've been feeling convicted of having my heart in a selfish and greedy place. Austen's prayer reminds me that sincerity with God and myself, each and every day, is crucial in realigning my heart. Side Note: This "observation" is already long (sorry! ), but I have to add that reading the Made to Crave Devotional by Lysa TerKeurst has also been a big help to me in this area. It's reminding me to check my heart motives and to recognize what (or rather Whom) my heart is really craving when I overindulge in things. I'm far from constantly living by that philosophy right now, but I want to be better. We'll resume our Persuasion read-along on Monday (discussing chapters 9 and 10)! Welcome to Day 4 of the Persuasion and Prayers Read-Along! You can follow along on this three-week discussion of Persuasion and The Prayers of Jane Austen by checking out the read-along tag or by clicking the button in the sidebar. Today we're going to discuss chapters 7 and 8 of Persuasion. If you came prepared, go ahead and share your thoughts below! Otherwise, feel free to check in later today after you've had a chance to read today's chapters. Can't wait to hear your thoughts! "There could have been no two hearts so open, no tastes so similar, no feelings so in unison, no countenances so beloved. Now they were as strangers; nay, worse than strangers, for they could never become acquainted. It was a perpetual estrangement." These chapters are heartbreaking - as well as frustrating, seeing the feelings of both sides the way we do! Austen describes the lingering pain and awkwardness of unrequited love so authentically. And yet there's hope below the surface in the way that Captain Wentworth can't find Anne's equal, and in the way that Anne can't quite ignore his presence and the memories it brings. It's interesting to me how sure they are of the other's feelings, and yet how very wrong they are in actuality. Perception determines so much of our judgments (my dad often says, "Perception is everything"), and yet, Austen's observations of human nature remind me of how much goes on within another person's mind and heart that we're unaware of. What are your first impressions of Frederick Wentworth, as he's portrayed in these two chapters? Do you think he's justified in his caution and aloofness around Anne? Welcome to Day 3 of the Persuasion and Prayers Read-Along! You can follow along on this three-week discussion of Persuasion and The Prayers of Jane Austen by checking out the read-along tag or by clicking the button in the sidebar. Today we're going to discuss chapters 5 and 6 of Persuasion. If you came prepared, go ahead and share your thoughts below! Otherwise, feel free to check in later today or tomorrow morning after you've had a chance to read today's chapters. Can't wait to hear your thoughts! In these two chapters, Anne's point of view and demeanor sure clash with those of her younger sister and her sister's acquaintances! I find much to admire in Anne's peace-maker ways and her meekness as contrasted with her family's self-absorption. An additional minor observation: It's interesting how the word "persuade" is used several times in chapter 6. There's a lot of persuading going on so far in the story, both from outside influences and internal inhibitions. How would you handle a visit to Mary's home? Would you lie low and try to keep the peace, or would you call out the petty grievances and detrimental behaviors of those around you? Join us tomorrow to chat about chapters 7 and 8! Welcome to Day 2 of the Persuasion and Prayers Read-Along! You can follow along on this three-week discussion of Persuasion and The Prayers of Jane Austen by checking out the read-along tag or by clicking the button in the sidebar. Today we're going to discuss chapters 3 and 4 of Persuasion. If you came prepared, go ahead and share your thoughts below! Otherwise, feel free to check in later today or tomorrow morning after you've had a chance to read today's chapters. Can't wait to hear your thoughts! "Anne, at seven and twenty, thought very differently from what she had been made to think at nineteen." "Had she not imagined herself consulting his good, even more than her own, she could hardly have given him up." "A lady, without a family, was the very best preserver of furniture in the world." "The navy, I think, who have done so much for us, have at least an equal claim with any other set of men, for all the comforts and all the privileges which any home can give." "We are not all born to be handsome." In these two chapters, we go from the reasons why Admiral Croft and his wife would make great candidates for renting the Elliots' home, to the reason why Anne is still unmarried. I feel like this is almost an extension of the "diamond in the rough" theme from the first two chapters, in that sailors (while sometimes weather-worn and from a different class than the Elliots) sacrifice much in the military and can make for trustworthy men, and sometimes the cast-aside love interest is really the one who would have made you the happiest. Caution and prudence have their place for sure, but this reading reminds me that too-quick or too-harsh judgments can sadly limit our relationships. Do you believe Anne was unwise in breaking her engagement? Join us tomorrow to chat about chapters 5 and 6!